This entry was posted in Home Improvement, Humor, Professional Range Hoods, Range Hoods and tagged funny, home improvement, humor, kitchen, professional range hoods, range hood on August 29, 2014 by editor. Fun recipes make cooking more engaging and exciting for kids. It’s important for kids to become comfortable with cooking so they can lead healthier lifestyles as they grow up. Allow your kids to associate cooking with healthy meals and being creative. The kids in your family may also enjoy some of the 30 Minute Meals we wrote about last week. Kid-friendly recipes are also a good strategy for getting picky eaters to eat more. Sometimes it’s just difficult to convince a kid to eat an entire meal in one sitting. 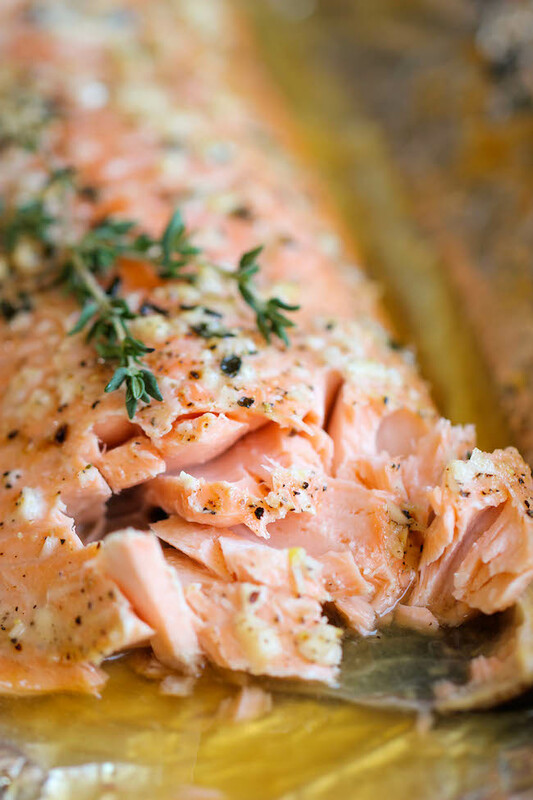 Below are some fun recipes to try at home. Hot dogs and spaghetti sound like a good combination, right? 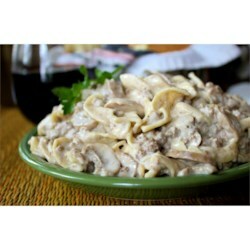 Those are two of the most popular food choices among kids, and this recipe brings them together in a fun way. An example is the Threaded Spaghetti Hot Dog Bites from Very Culinary. Amy broke pieces of spaghetti and threaded them into bite size pieces of hot dog before cooking the pasta al dente. You can then add your favorite sauce and enjoy. Janine, author of True Aim Parenting & Education, let’s her four kid assemble their own pizzas. It’s super easy and quick; her secret is using tortillas as the pizza crust. 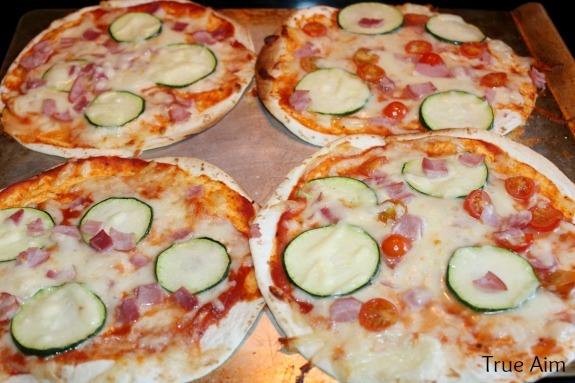 It creates thin pizza crust and kids have a blast making it. According to Janine, kids are more willing to eat vegetables when you present them as pizza toppings. The kids assemble the pizzas and she puts them in the oven at 400 degrees for eight minutes. 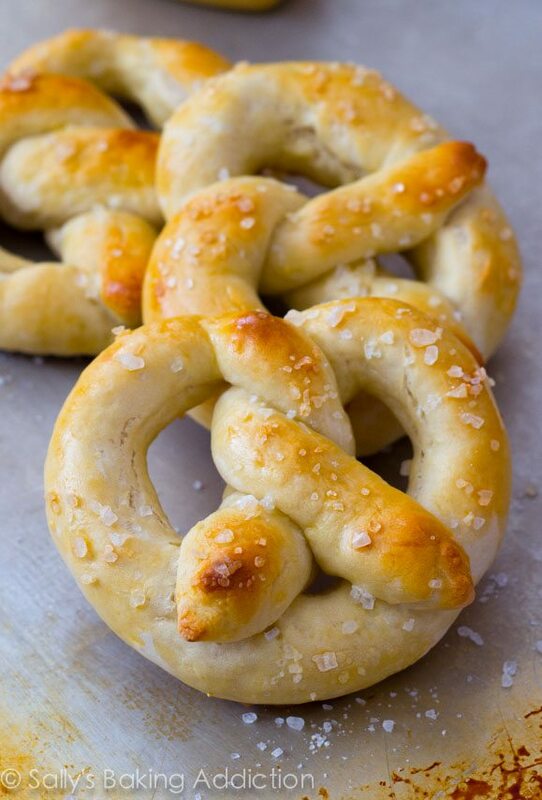 Use this 30 minute recipe from Sally’s Baking Addiction with whole wheat flour to get your kids excited about forming dough into pretzel shapes. The recipe calls for yeast, water, sugar, flour and an egg wash. Start with three cups of flour and as more as you need it. Give each kid a small ball of dough so they can make their own pretzels. Form dough into hearts, stars and any other shapes you can think of. Egg wash the pretzels on both sides, top with salt and bake for ten minutes at 425 degrees. Popsicles are a fun food and an excellent trick for getting kids to eat fruit. There are also popsicle recipes out there that call for yogurt. Even if the popsicle is dipped in chocolate, at least the inside is made up of fruit smoothie or whole fruits. Buy popsicle molds or use small cups and sticks. Try out some recipes on Artsy Fartsy Mama, where Lindsay lists 36 popsicle recipes for you to try with your family: http://www.artsyfartsymama.com/2013/05/36-homemade-popsicle-recipes.html. Enjoy these recipes, and let us know what tips and tricks you use to get your kids to cook and eat healthy. This entry was posted in Food, Recipes and tagged cooking, dough, food, hot dog, kids, Pizza, pretzel, recipe, recipes for kids, spaghetti on August 27, 2014 by editor. Vent it out the right way. 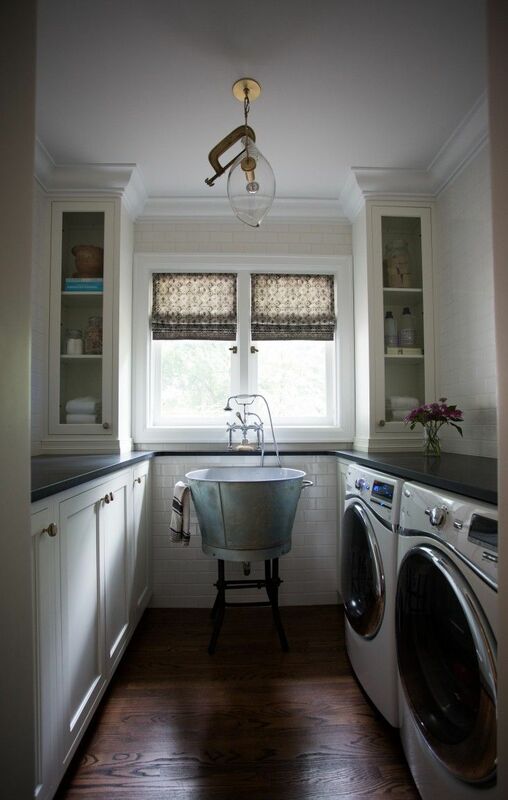 Browse kitchen vents on Range Hoods Inc. This entry was posted in Humor, Range Hoods and tagged Dr. Phil, kitchen, kitchen vent, range hoods, range hoods inc, vent on August 22, 2014 by editor. What if I Told You the Thing Above your Stove Had a Purpose? What if I told you that the big-shiny-block-thing-with-the-buttons-that-do-stuff above your stove actually had a purpose? This entry was posted in Humor, Range Hoods and tagged funny, humor, kitchen, meme, range hoods, range hoods inc, The Matrix on August 15, 2014 by editor. 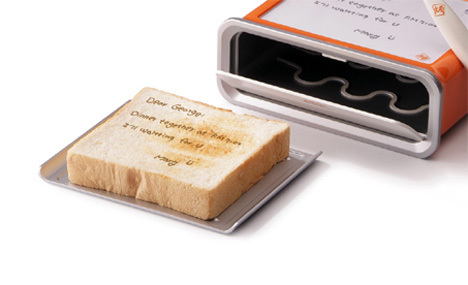 First on the list is an appliance that doesn’t just cook food; it will leave a message on your food for you too. What can’t a toaster do nowadays? This toaster, designed by Sasha Tseng, will toast a piece of bread and transfer a message onto it. Just write your message on the top of the device like you would on a 90s magnetic drawing board. Best of all, leave someone a reminder to get something done in the morning. 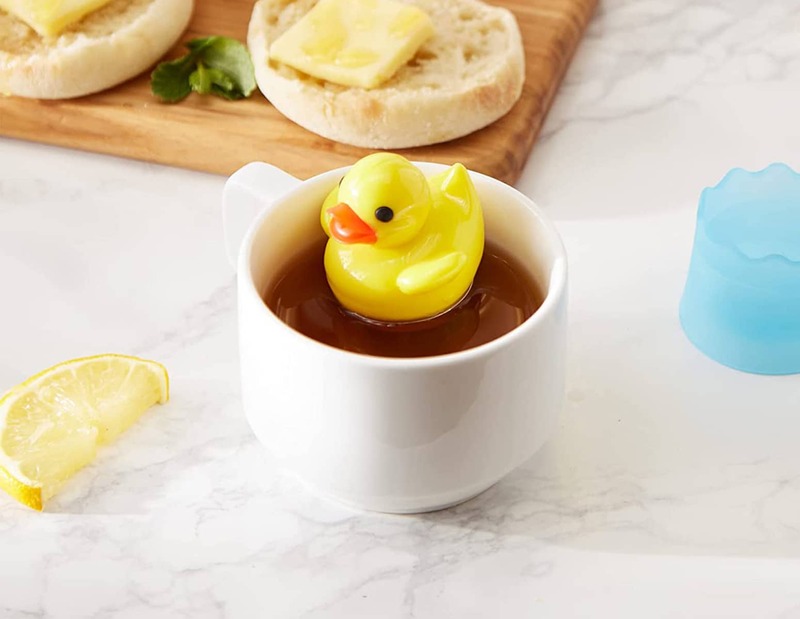 Next we have a myriad of cute tea infusers. 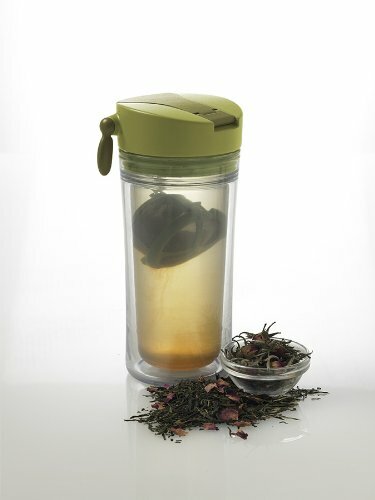 If you aren’t a tea drinker, you may not know that a tea infuser is like a re-usable tea bag for brewing loose leaf teas. They come in all sizes and shapes, including rubber duckies, sharks, whales, robots, submarines, Death Stars, dinosaurs, etc. ; you name it. Make sure to check these out so you can add some style to your next cup of tea. If a tea infuser isn’t your thing, try a mug with a tea infuser built-in. These are great for when you want tea on the go or when you don’t want to bother with washing the infuser. This has everything all-in-one for you. Who wants to eat boring cookies? We sure don’t. 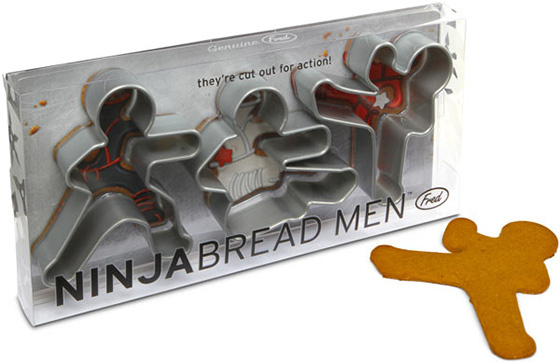 That’s why we’ve searched the Internet for these fun cookie cutters. 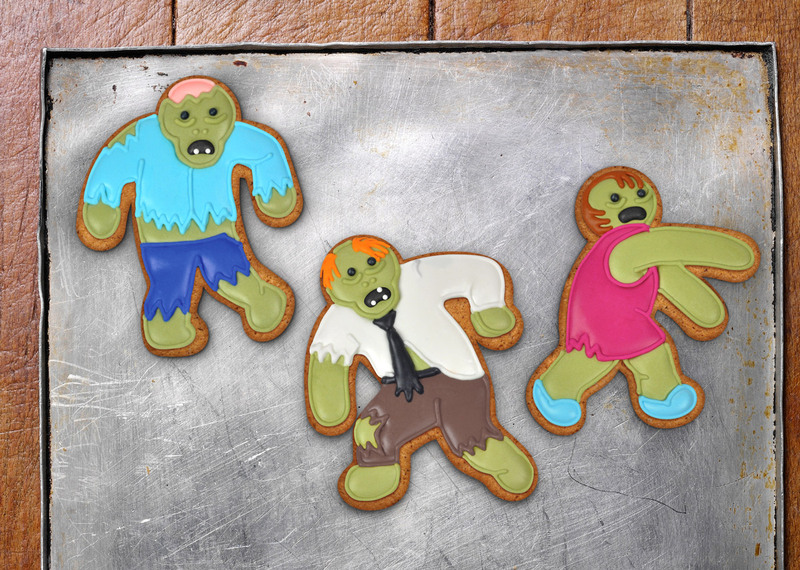 Take a bite out of a ninja, or ironically, out of a zombie. These 3D space cookie cutters from Think Geek make cookies that you put together into a space ship. Make a space ship right before dunking that cookie into a glass of cold milk. Are you disappointed yet again and again by your pizza cutter? Don’t worry; pizza scissors are here to make the perfect cut in your pizza pie! Avoid mess and frustration with a pair of scissors with a connected, non-stick spatula. Pretty soon you’ll be a pizza cutting guru. If you love cooking, but you’re sick of looking up measurements every time you break out a recipe, then a cheat sheet apron may be what you need. These have common cooking conversions, substitutions and tips and tricks printed on the apron. It doesn’t get more convenient than that. It’s also printed upside down so you can flip up your apron and read it while wearing it. Next up is a Corn Kerneler from Amco. It’s not super humorous, but it just looks cool and funny to us. 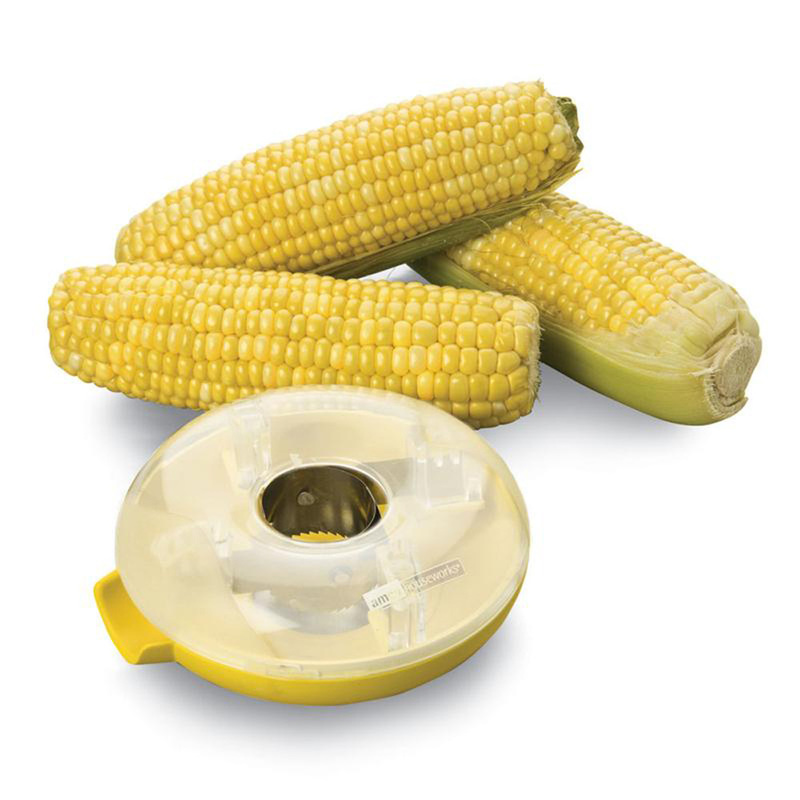 It sounds really useful though; just press it straight down the ear of corn to remove the kernels. The kernels go into the holder, and it’s dishwasher safe. Grill some corn and try it out. Lastly, we have the Banana Handle! Whoever thought of this may be our favorite person. 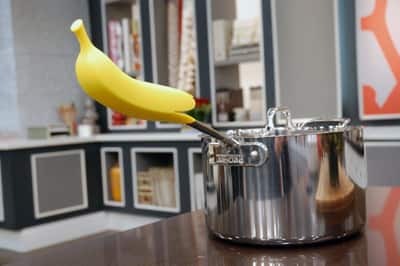 This silicone banana will keep your hands safe from hot pan handles. It’s made for both humans and chimpanzees. At Range Hoods Inc, we believe cooking should be fun. Enjoy life in the kitchen. This entry was posted in Food, Humor, Kitchen Tech and tagged cookie, corn kerneler, gadget, kitchen, kitchen tech, kitchen utensil, Pizza on August 13, 2014 by editor. First new “Episode 7” Space Ship Revealed! This entry was posted in Humor, Range Hoods and tagged funny, humor, photo, range hood, range hoods, range hoods inc, sci fi, science fiction, Star Wars on August 8, 2014 by editor.